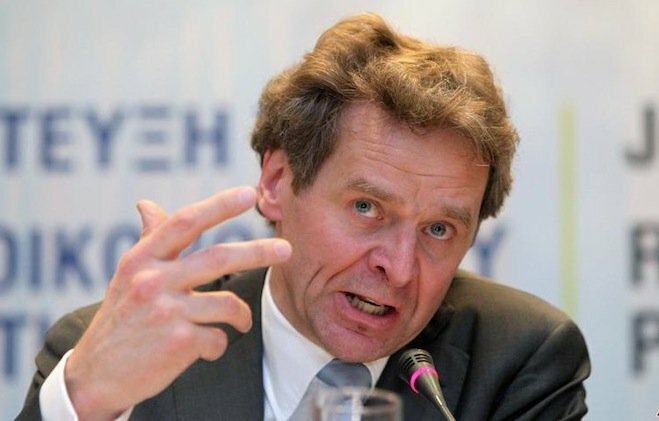 The International Monetary Fund’s (IMF) European Department head Poul Thomsen said on Tuesday that his organization needs to see more realistic euro zone assumptions about Greece’s economy as well as a detailed planned of debt relief measures for the country in order to join a bailout. Although Thomsen did give credit to the progress between Greece’s euro zone lenders and the IMF, he noted that more must be done. “We still think there is a need for more realism in assumptions and more specificity,” Thomsen said on Tuesday, according to Reuters. The statements by Thomsen came after Monday’s decision by the euro zone and the IMF that Greece will have to keep a primary surplus at 3.5 percent of GDP for five years after the bailout ends in 2018. Many of the euro zone countries want the IMF to join in the Greek bailout as a means to increase the credibility of the bailout, however, the IMF maintains that it will only join if debt relief is granted to Greece.